We train females who hold a state issued license in counseling, social work, psychology and education and who have a demonstrated interest in and commitment to working with girls. Facilitators must pass a BCI background check and have the support of a sponsoring school or organization where they plan to implement the ROX program. The 3-day ROX Facilitator Licensure Training program mirrors the ROX program for girls by engaging participants fully in the research, content, theory and experience of the critical issues facing girls and provides the opportunity to explore one’s own beliefs and behaviors as they relate to the education, safety, development and empowerment of girls. Registrations fees are inclusive of all training materials and upon completion, participants will be trained and licensed to implement the ROX elementary and/or secondary curriculum. Start the process by sharing your interest with ROX HQ! Don't see dates that work for you? Interested in bringing the ROX Facilitator Training to your community? Click here to contact ROX HQ. You can bring the ROX training team to your district to prepare your female counselors, social workers and administrators to implement ROX. With a minimum of 10 participants, the ROX training team will bring the inclusive 3-day training to your school. Reach out to info@rulingourexperiences.com to develop a custom training program quote and to schedule training dates. 2. 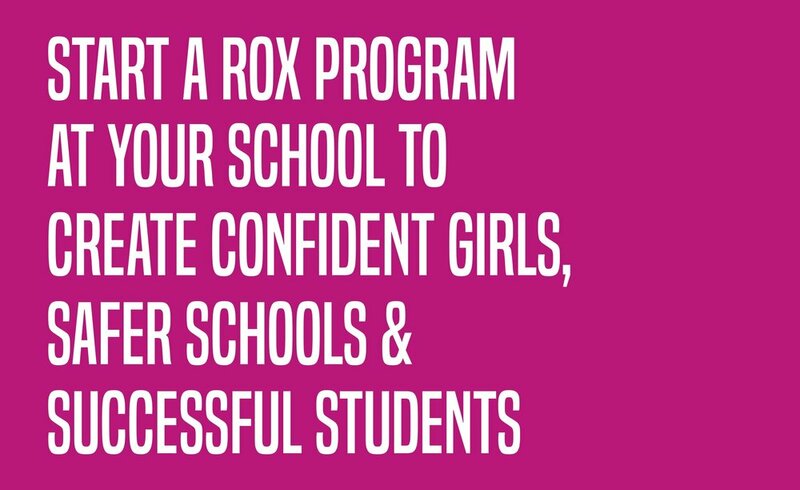 Deliver the 20-week program at your school with support from ROX! Once you are licensed to implement ROX, we partner with you on the implementation and support for your program. This includes ongoing program support, including: 5 one-on-one coaching sessions with an expert ROX coach; assistance with evaluation & reporting; program scheduling; alignment with school goals, metrics and standards; increasing parent & staff involvement; funding and sustainability. Each ROX Facilitator is paired with a ROX Coach upon completion of their facilitator training and receives job embedded coaching and support with her program launch. Our talented coaches are experienced, expert ROX Facilitators in their own schools/communities, with a broad knowledge of the ROX curriculum, implementation and research.